Jackie Chan DC Racing x Jota Sport have announced Stephane Richelmi as their final driver for this season's line-up in the FIA World Endurance Championhip. 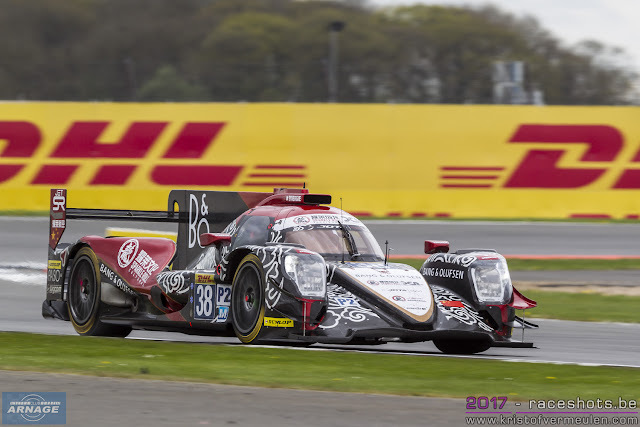 Richelmi joins Gabriel Aubry and Ho-Pin Tung in the #38 Oreca, completing the 2017 Le Mans 24 Hours winners’ driver line-up for the 2018-19 FIA World Endurance Championship season. Tung, one of the team’s core driver and part of the 2017 Le Mans winning crew, remains in #Mighty38 Oreca-Gibson 07. The 35-year-old Chinese, who led the iconic 24-hour race overall for two hours at Circuit de la Sarthe last year, will start his third full WEC season and remains an important part of the Anglo-Chinese team. Richelmi, son of former World Rally Championship driver Jean-Pierre Richelmi, was the 2016 FIA WEC LMP2 Champion and Le Mans 24 Hours winner. He claimed the 2017-18 Asian Le Mans Series title with Jackie Chan DC Racing x JOTA Sport and now will make his return to the FIA WEC and the famous Le Mans 24-hours with the China-flagged team. After achieving five victories in Formula Renault over 2017 with two years of experience in the category, 19-year-old Aubry managed to stand on top of the LMP3-class podium in only his second race for Jackie Chan DC Racing x JOTA Sport at the final round of the 2017-18 Asian Le Mans Series and played a pivotal role in clinching the LMP3 title for the team. The new crew will head to the Prologue, which will take place at Circuit Paul Ricard in the South of France on 6th-7th April. Knowing that the #FortuneCat37 is in good hands this year with our returning Asian Le Mans crew of all Malaysian drivers with the support SIC, equally we have a formidable #Mighty38 line-up returning from Asian Le Mans with Richelmi, Aubrey and Tung. Ho-Pin and Stef both have Le Mans winning experience and has been teammates in sister cars in the past, and Aubry has shown great speed and mental fortitude with us. I’m confident in our team’s ability this year to challenge for top honors, and we look forward to kicking off the Super Season this weekend. It is great to welcome Stephane to the team. His pace and experience speak for themselves and alongside Gabi and Ho-Pin they will no doubt be challenging for the 2018-19 FIA WEC LMP2 title. The #Mighty38 is back! Once again, we have used our Asian Le Mans program to groom drivers for the WEC team, leading to these strong line-ups for both #Fortunecat37 and #Mighty38. With a great mixture between experience and talent the objective is clear: winning. The partnership – Jackie Chan DC Racing x Jota Sport has been highly successful in just its first year and we are all looking forward to reaching new heights together in the upcoming Super Season. I’m incredibly happy to take part in the WEC super season with Jackie Chan DC Racing x JOTA Sport. It is a childhood dream to race in the 24 Hours of Le Mans, which has been my motivation since I started Go-kart at 8! Joining such a prestigious team like Jackie Chan DC Racing x JOTA Sport is a blessing, and I’m much looking forward to learning from my teammates Stef and Ho-Pin! I’m delighted to be part of the team for the WEC Super Season. I’ve been close to David and Ho-Pin since we met in Alpine two years ago, I really appreciate them. They work hard together with JOTA Sport to become a reference in endurance races. While we together already won the Asian Le Mans, it was a kind of new starter: big things are now coming. I can’t wait to come back in this great championship after a difficult year with the GTs, and endurance suits me well.